Cypher Environmental engineers environmentally friendly, high-quality dust control, soil stabilization, and water remediation solutions for a growing global economy. As an industry pioneer, Cypher is constantly innovating and delivering greater performance for our products, as well as your company. With Cypher on your side, you will improve project safety, operational efficiencies, and your bottom line. Cypher products are non-corrosive, non-toxic and environmentally friendly. The highly concentrated formulations allow for economical shipping to further enhance your cost-effective results. Beyond the environmental factor, our solutions’ long-lasting results introduce operational efficiencies that provide potentially significant cost savings. Our products are exceptionally useful for businesses in the worldwide mining industry. Mines tend to be located in some of the world’s wildest and most isolated areas. Their haul roads are required to withstand frequent, heavy traffic across great distances. 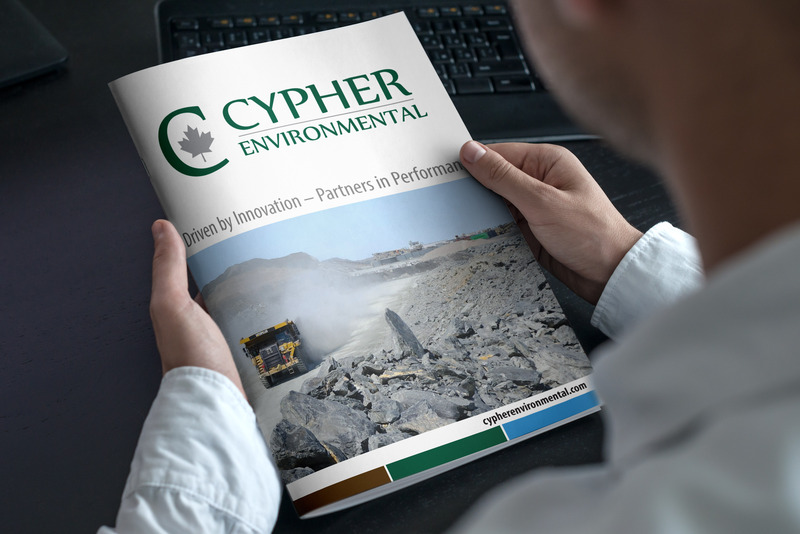 Cypher Environmental provides the mining industry with high-quality products that resolve the industry’s unique challenges while upholding environment sustainability requirements. Our products are engineered to withstand the heavy weights associated with mine haul roads and offer cost savings. Our corporate brochure will help you learn more on our history, work, and products.